In 1862, Facundo Bacardi and his brother José bought the Santiago de Cuba Distillery and began to distill what would become the most popular commercial rum in the world. Using a method of charcoal filtering, and oak barrel aging along with a still of copper and cast iron, Facundo Bacardi created a smoother more refined version of the locally made rum. His smoother version of the spirit became local favourite, and over time, an international sensation. Of course, Bacardi Rum is not made in Cuba anymore, the Ron Bacardi Company left Cuba in the wake of Fidel Castro’s plans to nationalize all private property and privately held bank accounts on the Island. The Bacardi family moved important trademarks out of Cuba, and using a Bacardi owned plant built in Puerto Rico, were able to continue to build their company. Bacardi is now the largest family owned spirits company in the world. Bacardi’s Oakheart Original Spiced Rum is one of those spirits which shows firm signs of its age in the glass. 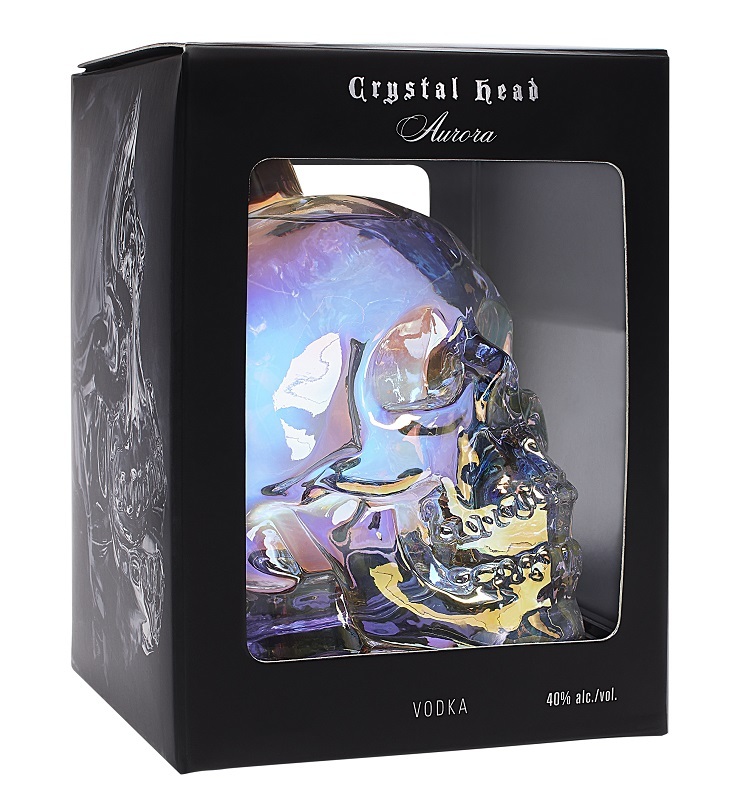 It is produced from a blend of column distilled rums which have been aged in charred oak barrels. This aged rum is then spiced to reach a flavour profile which walks the path of a vanilla accented by fragrant spices the combination of which is meant to compliment the aged rum but not to dominate it. The photo to the left shows off the new Oakheart bottle presentation. I like the textured bottle which is easy to grip, and I like the label which features the oak barrel used to age this particular rum before it was spiced. About the only thing I do not like is the metallic topper. If you look at the threads you can see that there is only two of them. I am always unsettled by a loose cap, and this seems to happen much more often with these pressed on metallic caps than with plastic caps or corks. I began my examination of the Oakheart rum with a look at its colour and visual appeal. 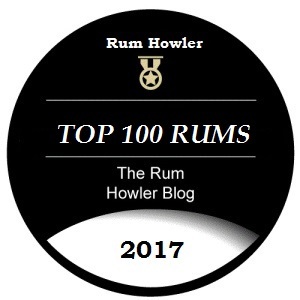 The rum displays a golden amber colour, and when I tilted my glass and gave it a slow twirl, I noticed a thin sheen of liquid left on the side. Small legs developed and ran down back into the rum. I like that the droplets do not seem to be unduly thickened by sugar. The nose from the glass carries a light accent of oak spice with butterscotch, caramel, and a firm indication of vanilla rising up into the breezes. I sense some light baking spices as well as a very light indication of dried fruit (raisins and dates). When I allowed the glass to breathe, the vanilla notes deepened. I also begin to sense some maple in those breezes above my glass and the baking spices have firmed up with more obvious impressions of nutmeg and cinnamon. The rum is surprisingly creamy in the mouth, and this creaminess serves to coat the palate allowing the flavours to linger. I taste a lot of vanilla, some nice rummy butterscotch and a little dollop of maple syrup. The rum has a bit of spicy heat as well, with some orange peel, cinnamon and cloves heating the palate. The oak seems a little lost in the spice when you sip the rum neat. I suspect it is adding to that orange peel zest flavour I noted, but it is hard to decide where the light spice flavours end and the oak begins. Spiced rums are usually meant as mixing rums and so I wanted to try a couple of cocktail/bar drinks just to see how things tasted. I mixed a standard Spiced Rum and Cola with lots of ice. I have to admit that this relatively simple bar drink really surprised me. The spice really ‘popped’ on my palate with flavours of cinnamon, and baking spices making a very positive impression in the cola. In fact, I found myself mixing my Oakheart and Cola frequently over the next several days, and each time I was more impressed than the last. Based upon my success with my Oak and Cola mixed drink, I experimented with ginger ale and created a refreshing tall serving I have dubbed, the Flying Machine (see both cocktail recipes below). The Bacardi Oakheart finishes with a spicy pop of cinnamon and other baking spices (kind of like the flavour of nice sticky cinnamon buns). The throat is heated by these spices; but I do not really sense any burn or discomfort. After the swallow, the palate is left with the lingering aftertaste of vanilla and cinnamon. In mixed cocktails, the Bacardi Oakheart shines, and it seems each time I sample the spiced rum I became more impressed. This spirit has character which only comes from the time spent in an oak barrel, and this aged character adds real depth to cocktails and bar drinks. If desired garnish with a slice of lime. Please consume responsibly as this spiced rum and cola is very addictive! While Spiced Rum and Cola is a conventional theme of the tall back deck drink; this summer I have been traveling a different path in which ginger ale and/or ginger beer has replaced the ubiquitous cola. 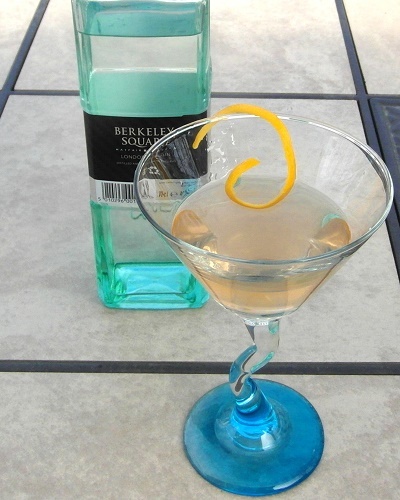 Here is a variation which works particularly well with Bacardi Oakheart Spiced Rum.